Mark Priest, U of L professor and artist, takes the walls of Schneider Hall to the heart, depicting the horrors and tribulations of slavery through the use of mediums such as acrylic paint on canvas, pen on paper, and pencil on paper. 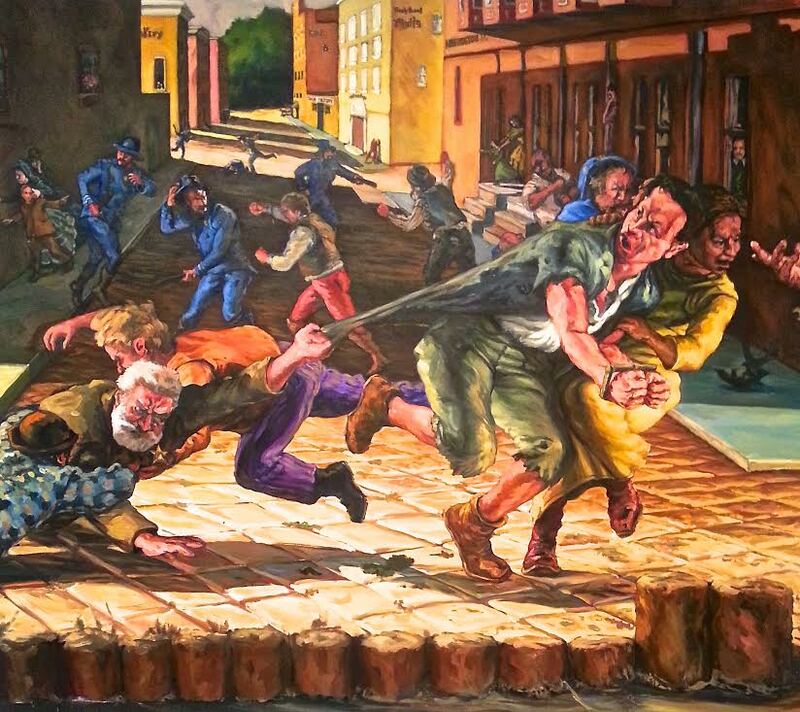 Using vivid colors and wild expressions, Priest relates the strife between black and white men, women and children, as well as the effort endured by slaves to preserve the Underground Railroad. Through his pencil and pen collections, he displays rough, windy movements in black and white—like a photograph of the old days. His paintings stand out as life-sized people show their perspectives on yards of canvas. One displays the ruddy hands of African American slaves, working till their fingers rub raw. Another shows the outstretched hands of slave drivers, selling and working the men who wanted freedom so desperately. 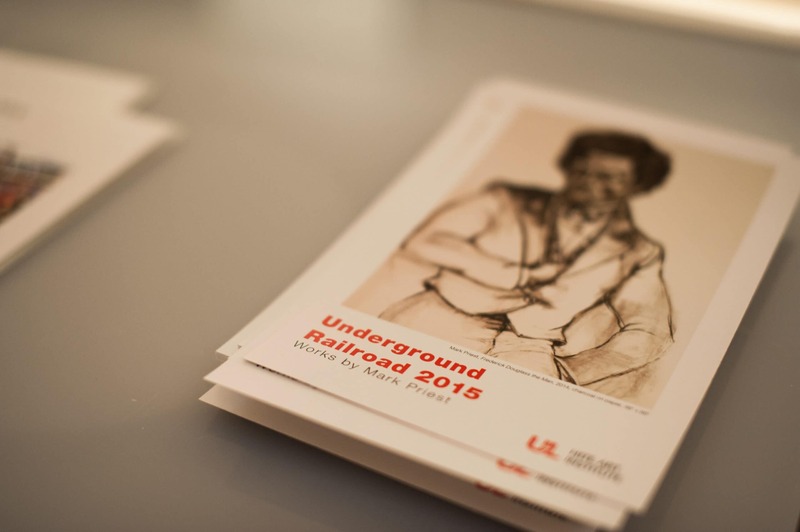 Others depict the secrets hidden only in the history of the Underground Railroad and what it is these men and women had to do in order to achieve freedom. Like a blurry photograph, Priest depicts these characters vividly and expressively using realistic techniques as well as dramatic colors to draw out the emotions hidden behind the black eyes, tools and mud. Leaving nothing to the imagination, Priest displays the bloody beatings, scarred hands, weary walks and disfigured faces of those beaten and persecuted for seeking freedom. His pieces reflect all the hard work that went into working and preserving the Underground Railroad. 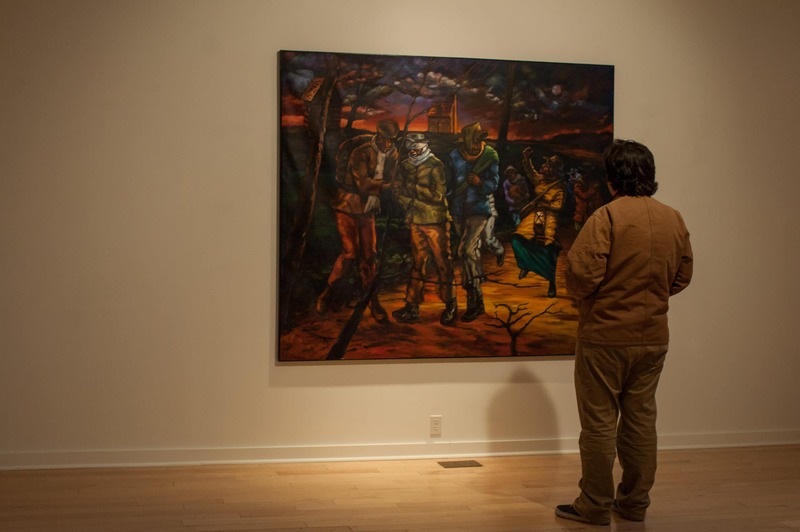 He has done much research in traveling from Maryland to Delaware to New York to Canada, hearing tales of the Underground Railroad and bringing them to life on canvas and paper. His historically representational pieces of art are convincing enough to portray that these faces were likely to have been made by live men in the time of slavery and the Underground Railroad. They have only been separated by paper and time. 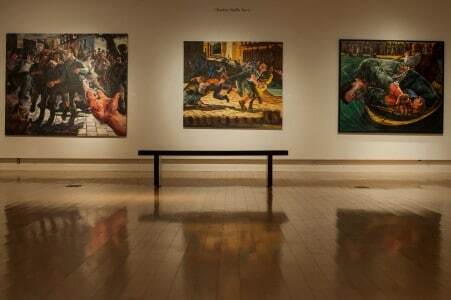 Each painting is meant to show the hardships and inspiration that come from work in the Underground Railroad and the fight to end slavery. Priest has certainly made this “hidden time in history” into a form of expression in which modern day viewers may hold sympathy for and gain inspiration. 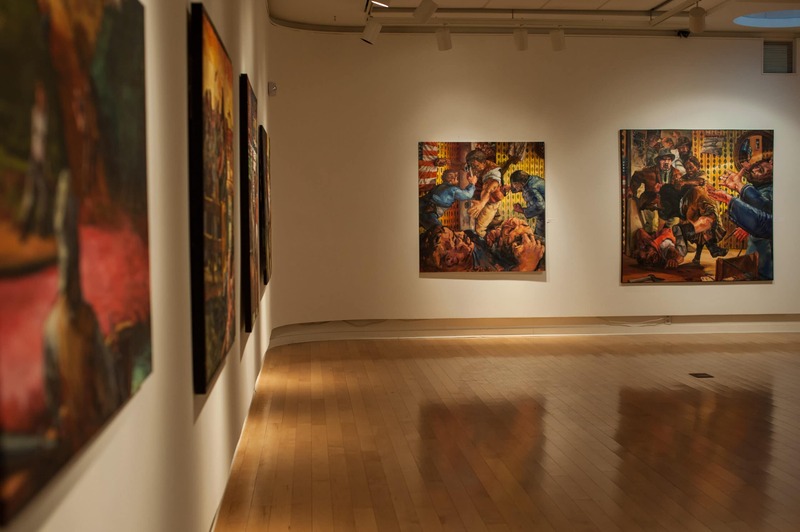 The gallery will be on display in the Hite Art Institute until Feb. 28.